Last year was the first time I cooked a Thanksgiving turkey and put together a family advent countdown calendar. The FIRST TIME EVER IN NEARLY TEN YEARS OF PARENTING. Because that’s how long I’ve been sleep deprived. 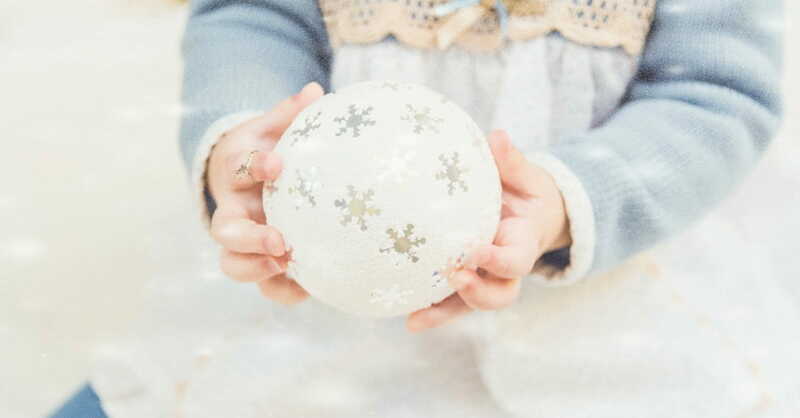 Dear Moms of Littles, listen up here because this is for you – I know this time of year can be hard. Because it feels like everyone around you is creating meaningful memories for their kids and you’re just trying not to yell at yours because you’re operating on, like, three hours of sleep and you’re so tired you can’t remember why anyone in their right mind would purposely engage in making cookies with tiny humans and risking FLOUR ALL OVER ALL THE THINGS. That is where I lived for a decade. I have not done advent countdowns. I have not beautifully decorated my house. I have not bought Christmas-themed dishware or even paper napkins. I have not made cookies, pies or anything that even remotely stretches me outside the safe parameters of half hour prep and no more than that for clean up. a) There is hope. You will make it through. You will. One day you will sleep again and it will occur to you that maybe making cookies with your kids isn’t the act of culinary torture you once imagined it to be. Seriously, give yourself grace in this season of grace to make it through simply with tempers intact. No grand countdowns required. No beautiful bonding over cookies and frosting. No handmade wreaths or daily crafts. None of that. There are no advent police. There are no family traditions enforcers. There are no report cards given on the kind of memories you’re making. 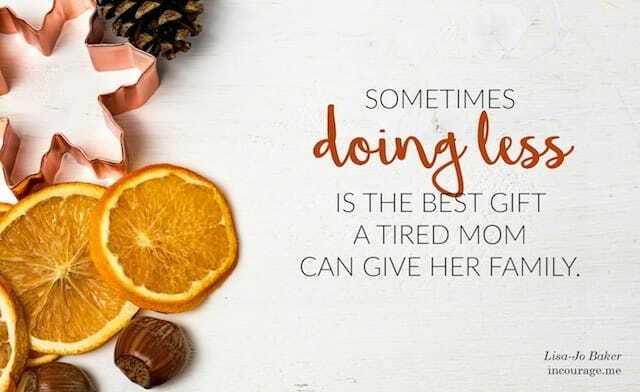 Sometimes doing less is the best gift a tired mom can give her family. Simple. Simple. Simple. Keep it as simple as works for you. And if all you do is give everyone a cup of hot chocolate now and again – including yourself – you are winning. forget worrying about everything you didn’t do for everyone else and stop and do something for YOURSELF. Put your feet up. Read a book. Order in. Ignore the dishes. Turn off the phone. Stare at the Christmas lights and remember that you are bringing your own amazing gift into the world. And that is more than enough. I think we underestimate the power of simply being present with our kids. Of being there to laugh and tickle and even yes, enjoy just one more viewing of Frozen. Nativities will come and go (and in our house we seem to go through them at an impressive rate, what with someone’s head being broken off immediately and inevitably as soon as the box is opened). But parents willing to sit between the dishes and listen to the stories of wonder or woe that pour out of their tiny humans? That – that is the stuff of miracles and memories. There is your frosting. There is your meaningful art. There is your tradition. Just keep showing up. Just keep listening. Just keep asking questions, changing diapers, laughing during bath times, and sometimes crying after bedtimes. It’s OK. You’re OK. You’re more than OK.
You’re knee deep in the sacred footsteps of Mary and her first loud, rough, desperate Christmas. You’re there in the muck and the stink and the stable with her. Your kids still rowdy and unpredictable as hers on that first Christmas. So, here’s to however you choose to celebrate Thanksgiving and the waiting of the coming Christ. Because after all, it’s Him that matters most. And He came to a tired mother with very little flourish, fancy, or perfect. Love your tiny people, mamas. Crazy ordinary, without expectations love them and that will be more than enough. And if you want a book to encourage you instead of tell you what you should be doing differently, THIS is the one! Read the first three chapters for free over here. Or grab your copy over here. This article originally appeared on LisaJoBaker.com. Used with permission. 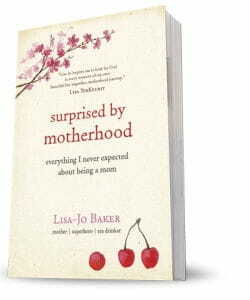 Lisa-Jo Baker is the author of Surprised by Motherhood: Everything I Never Expected About Being a Mom, the community manager at incourage.me and her writings on motherhood have been syndicated from New Zealand to New York. You can catch up with her daily chaos on her blog at lisajobaker.com.